My First Karen Katz Library: Peek-a-Baby; Where Is Baby's Tummy? ; What Does Baby Say? ; Kiss Baby's Boo-Boo; Where Is Baby's Puppy? ; Where Is Baby's ... Spring! ; Baby Loves Summer! ; Baby Loves Fall! View More In Early Learning. 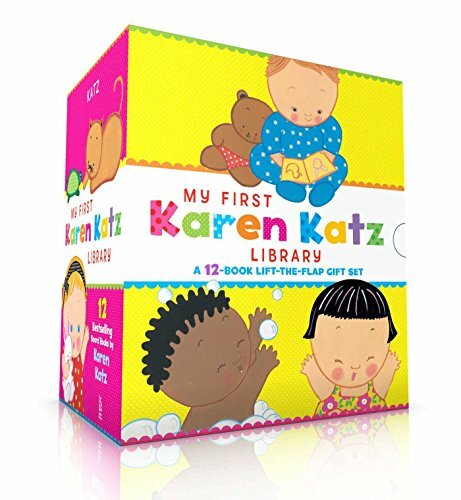 It’s all about baby in this adorable boxed set that features twelve Karen Katz lift-the-flap favorites! In these interactive books little ones can lift the flaps on each page to reveal all of Baby’s favorite things! Filled with Karen Katz’s bright, striking art, these books with sturdy, easy-to-lift flaps are perfect for parents and children to share. This collection is great for gift-giving—a must-have for any new baby’s library. Where Is Baby’s Yummy Tummy? Where Is Baby’s Birthday Cake? If you have any questions about this product by Little Simon, contact us by completing and submitting the form below. If you are looking for a specif part number, please include it with your message.